Our My Top 5 series showcases Houstonians who are creating the city’s culture and community and asks them to share their own local favorites. This week we’re delighted to feature Joey Garza, founder of Capsule Bag, a brand dedicated to bringing simplicity into our daily routine. Click here for more information or to support Garza’s “take daily bag” on Kickstarter. Seeing my neighborhood on foot – I have lived in the Montrose and Midtown area for the past decade and I always tell myself I will never leave this area. I work a lot, so when I’m off on weekends, I love to spend it walking through my neighborhood. Many people don’t relate Houston to a “walkable city,” but I do. I love visiting Bar Boheme because to me there is nothing better than sitting outside with a red sangria in my hand. Culture – Houston is a first class city with tons of culture. I’m from a small town in South Texas so moving to Houston 11 years ago afforded me the opportunity to grow and experience so many great things. My family visits every chance they get so I like to take them to the Museum District for the new Glassell School of Art and end the night at Riva’s Italian Restaurant for great food and drinks (make sure to try their Italian Margaritas). U.S. Men’s Clay Court Championships – I’m a huge tennis fan. Every April, Houston’s very own professional tennis tournament takes place for a week. It is held at the River Oaks Country Club and draws some of the biggest names in men’s tennis. For years I’ve been attending and have been so lucky to see Fernando Verdasco, Tommy Haas, and John Isner, to name a few. Being a tourist in my own city – Houston has a lot to offer. In my free time, I like to explore and learn more about my city. The Buffalo Bayou Park Cistern is a great place to start because they commission artists to create site-specific work. Other notables are the Port to Port History Tour of Buffalo Bayou and the newly expanded Seymour Lieberman Trail at Memorial Park. 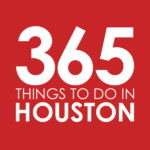 Concerts – I love that Houston attracts many artists from all genres. The smaller venues are where you get to see the best shows. I’ve seen so many artists in Houston. A few of my standouts are Taylor Swift at The Houston Livestock Show and Rodeo, Paulina Rubio at Warehouse Live, Kylie Minogue at Revention Music Center, and a Siempre Selena Tribute Band at White Oak Music Hall. 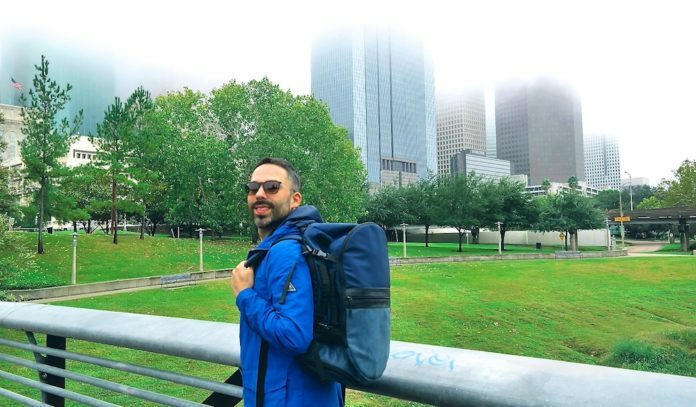 of Pharmacy, Joey Garza founded and created Capsule Bag, a brand dedicated to bringing simplicity into our daily routine. A pharmacist with a love for design, Joey began his company after complaining about his need to carry multiple bags for the same day-to-day activities. He, of course, drew inspiration for the bag from something he uses on a daily basis: a medication capsule. Click here for more information or to support Garza’s “take daily bag” on Kickstarter.